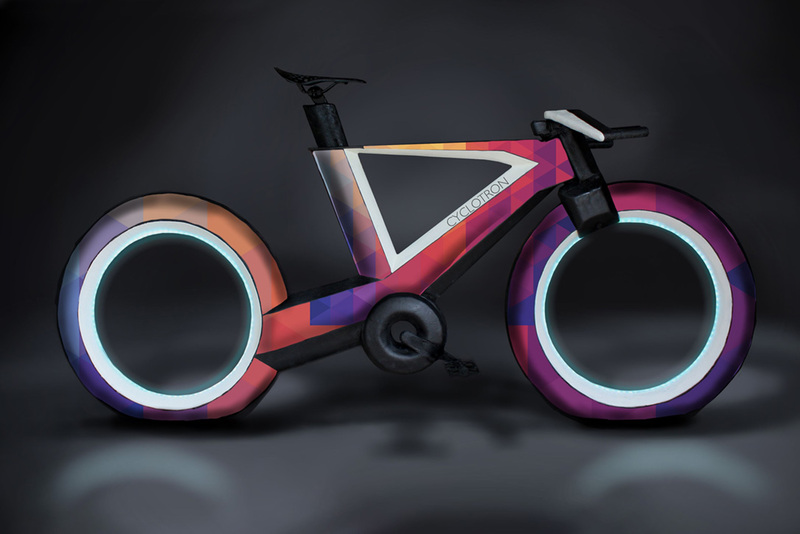 This concept bike named Cyclotron currently being floated by a team based out of Los Angeles totally throws out two key components of a bike – the hubs and spokes on a wheel. The reason why? In the mind of the creators, less material spinning around and causing drag makes for a much more streamlined and aerodynamic look. This sleek design has been matched with an ultra lightweight carbon fiber composite, making long rides in the country side or short hops into town for food that much smoother and lighter. 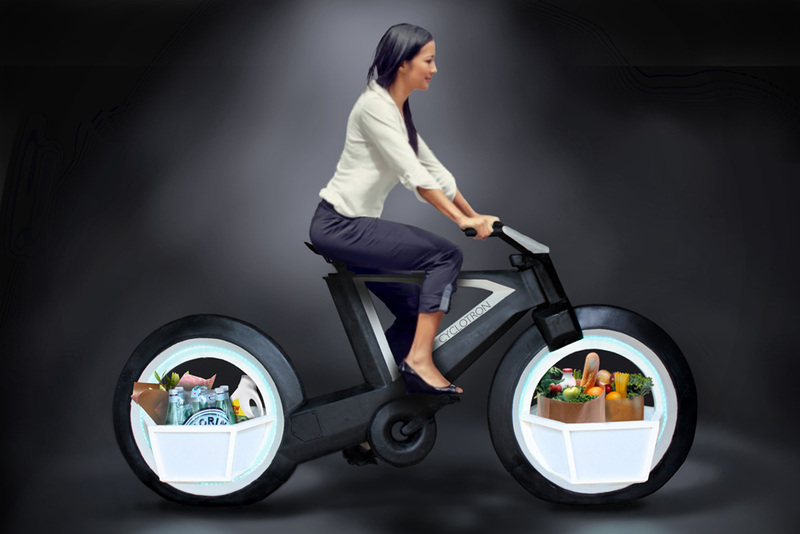 If you do end up taking this bike out to the store to pick up some wine and bread, you can easily put them in one of the baskets that fit in the hollow wheels. 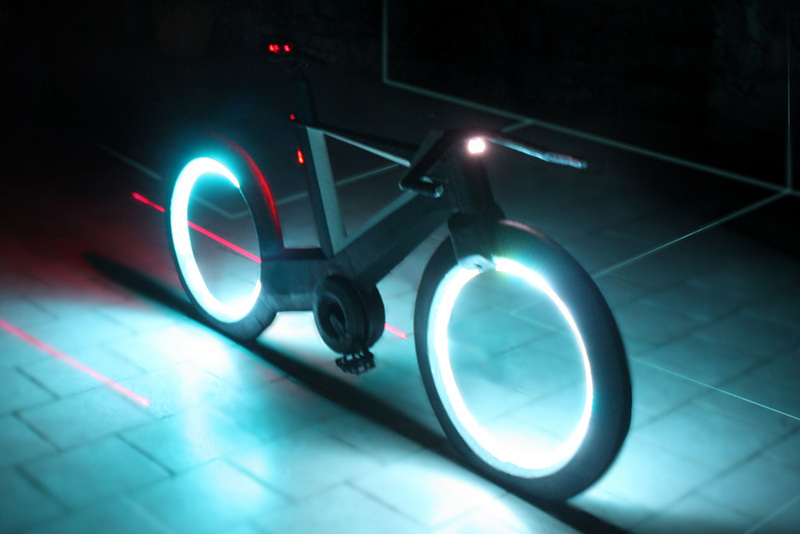 For safety and visibility on long rides into the night, the bike will be outfitted with integrated LED strips in the wheel wells and down the back of the seat post, along with a set of projected "laser lanes" that let motorists know how much room to give you. The bike will also come with an iOS and Android app that works as a bicycle computer, letting you know your speed, power put out, calories burned, and cadence. With a predicted delivery date of 2017, prices are starting at $1,125. You can order it on Kickstarter.